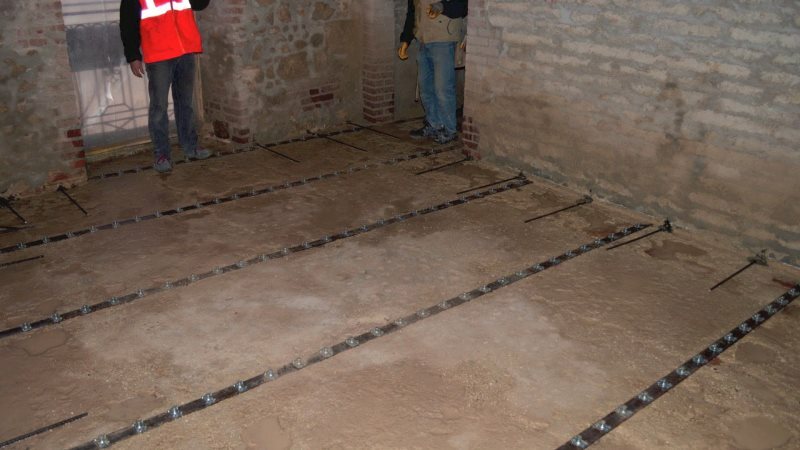 The construction of composite steel/concrete floors offers remarkable static and economic advantages. 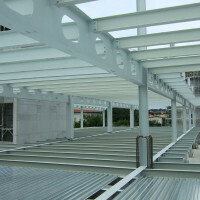 A load-bearing steel structure, suitably bonded to an overlying concrete cast by means of connectors, guarantees the static unity of the two different materials while enabling them to exploit their individual characteristics. The most evident advantages are a greater loadbearing capacity, the reduced weight of the steel structure, the reduced height of the floor structure, greater flexural rigidity, and greater fire resistance. 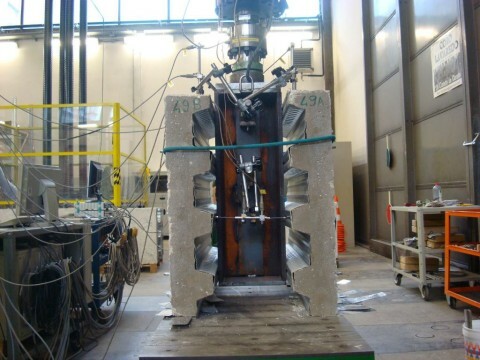 The diagrams on the left demonstrate the advantages of the composite structure. 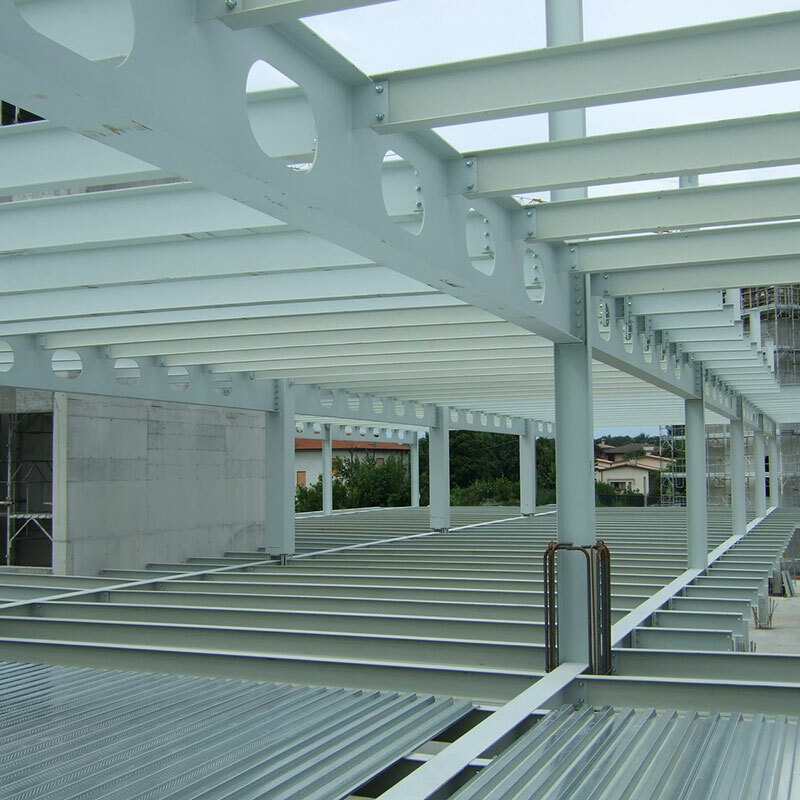 600 cm long S275JR steel beams are spaced at intervals of 180 cm, with Hi-Bond 55 profiled sheet decking and a 6 cm thick slab of C25/30 concrete covering the sheeting. Props are to be used in the transitional phase and deformations are limited within 1/250 of the length. 3.7 CTF105 connectors per sq.m. are required to create the composite beam. 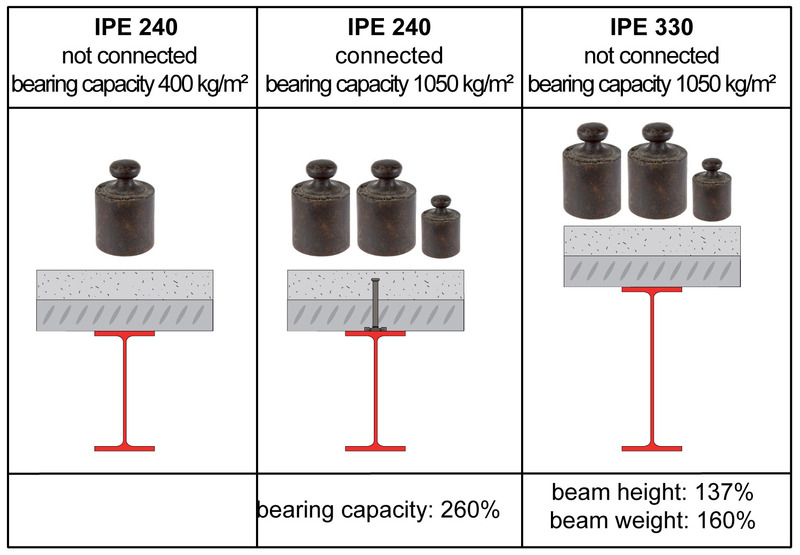 The commonly adopted solution for shear connection in composite steel/concrete structures is the “Nelson” type headed stud, welded to the beam. TECNARIA offers special connectors, simply fastened to the beams with high-strength nails using a special nail gun, avoiding any need for welding (video). This simplifies the construction procedures with consequent low costs. 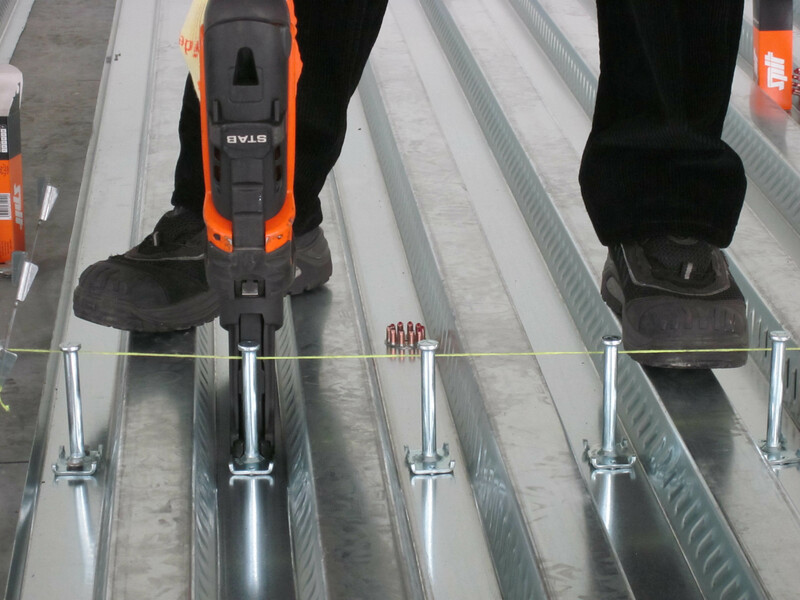 – The nailer is very light and easy to handle, it does not require a electrical connection and can be hired.